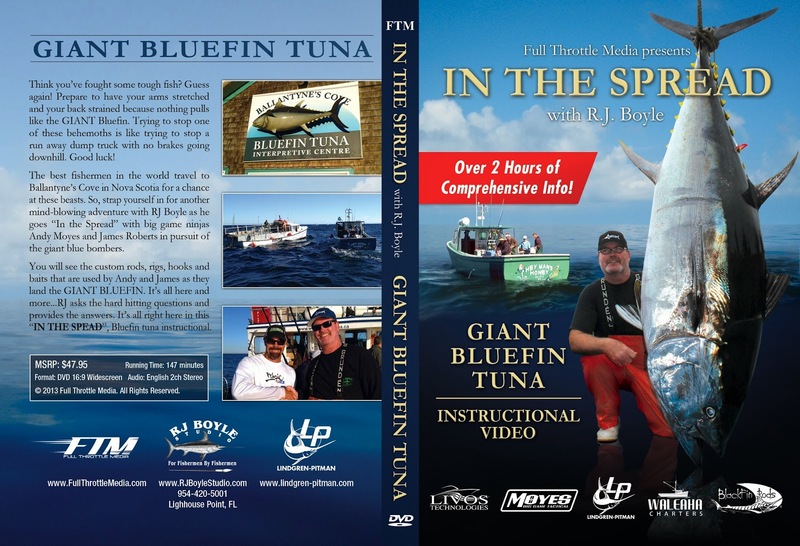 The much anticipated Giant Bluefin Tuna film from In the Spread is now available. Featuring RJ Boyle and Andy Moyes, this in-depth production takes you through every step of what it takes to catch a grander bluefin tuna. Unreal, to say the least! Fishing out of Ballatynes Cove, in Nova Scotia, Andy and RJ get way outside the box in their discussions on heavy tackle, rigs, tactics and techniques for these blue monsters. This was an epic endeavor for all involved. At first, the production team at Full Throttle Media was not sure how this film was going to turn out, due to some technical issues. But, at the end of the day, it may be the very best In the Spread production, to date. This and all the In the Spread productions will be available for streaming, on www.inthespread.com, in January of 2014. 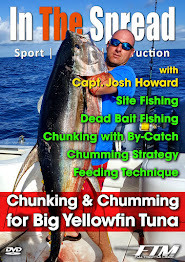 Stay tuned for the launch of this one of a kind sport fishing video site. For details on how to purchase this DVD, contact In The Spread for details.